This bouncy castle is a standout with its wrap around red bricks and stark blue pillars with light blue turrets. 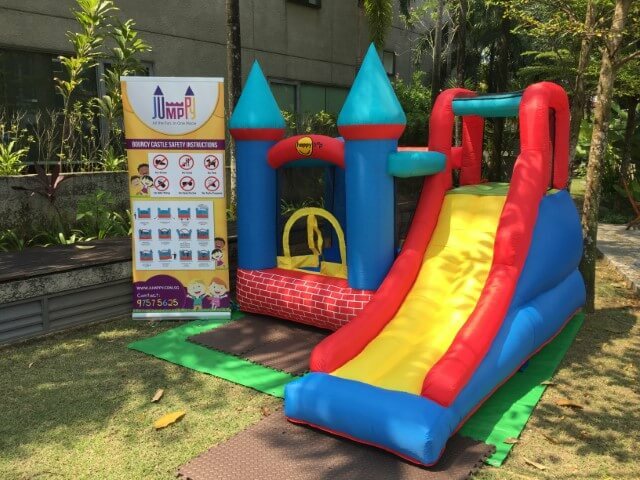 It has a spacious bounce area and a tall yellow, red and blue slide which you can access by climbing a wall. It also has a huge platform that leads to a long slide down.